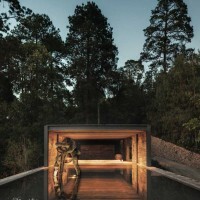 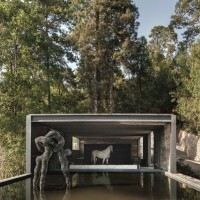 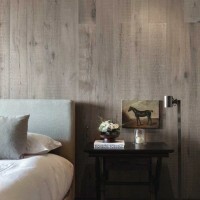 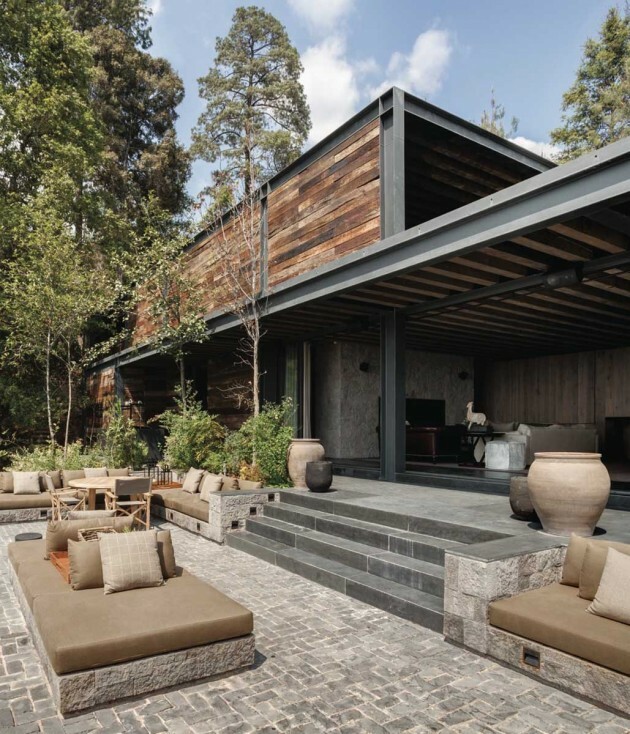 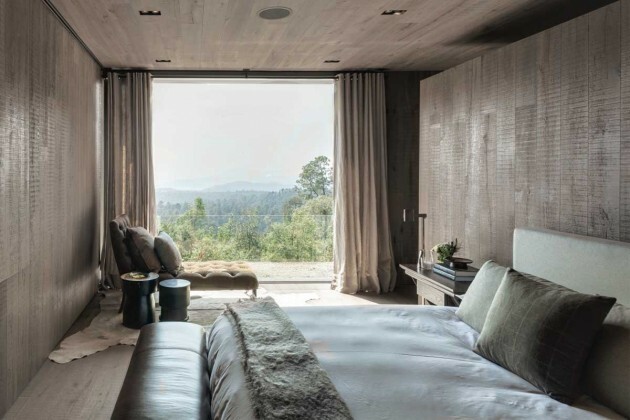 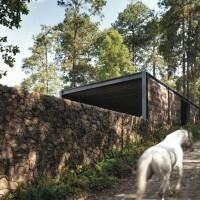 CC Arquitectos have designed El Mirador, a single bedroom home located in Mexico. 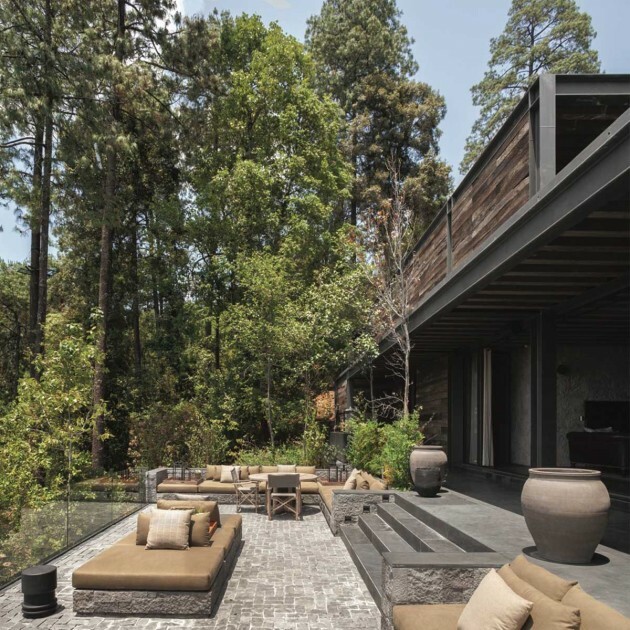 El Mirador serves its purpose by being located on one of the land’s edges, where the emblematic lake of the area can be particularly appreciated. 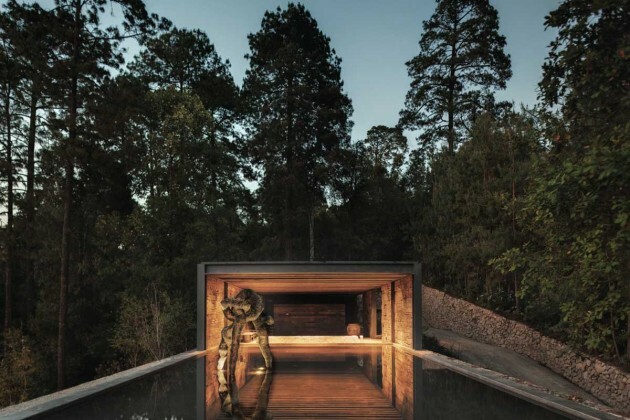 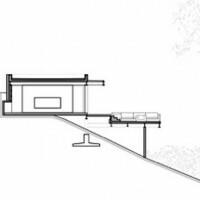 Its projection was based on respecting the forest where the pavilion was placed to the maximum, gripping to its topography and reducing its constructive impact. 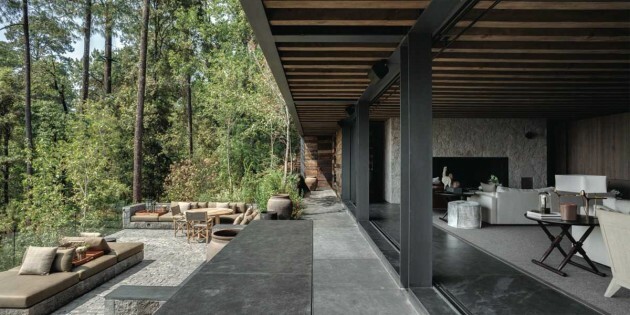 The materials used are from the region, also, railroad ties from old train tracks where recycled for the exterior of the pavilion. 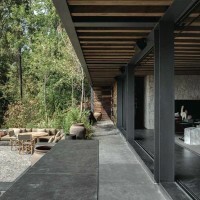 The structure is a combination of steel and wooden beams, and the retaining walls are made out of stones from the area. 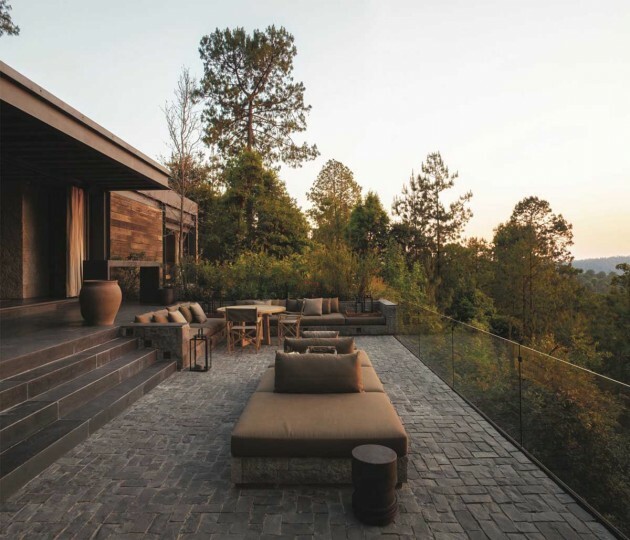 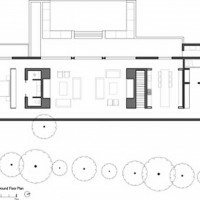 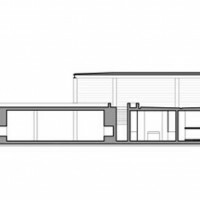 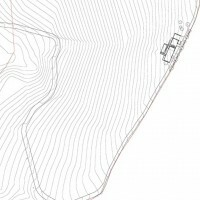 The architectural program is distributed with a family room that connects to the exterior, allowing the expansion of the social area to the main terrace. 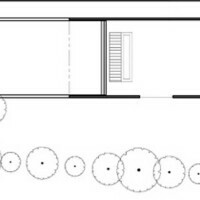 It has one bedroom with its own private bathroom. 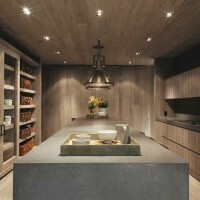 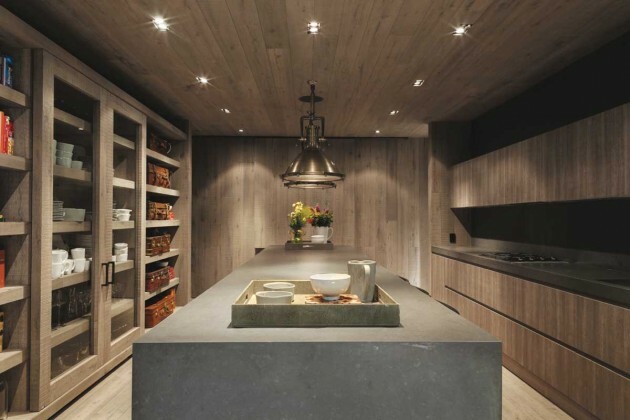 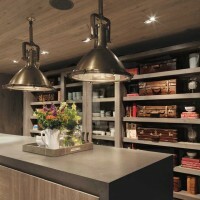 The kitchen has a large island in the middle with a countertop made of slate that allows it to also have the use of a dining table and a workspace. 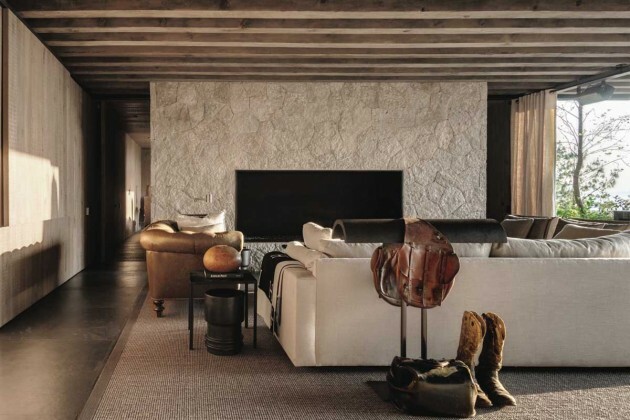 The relaxed architectural program and its flexibility in its spaces, reinforces the owner’s strong personality and intense social life. 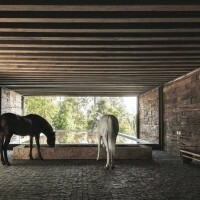 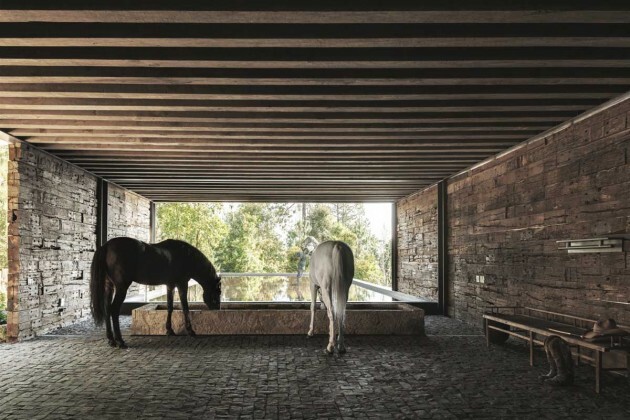 The main access collides with a large body of water that is parallel to a drinking space for horses, while a low wall made of wooden railroad ties discretely hides the area so cars may be parked and appear to be isolated from the construction. 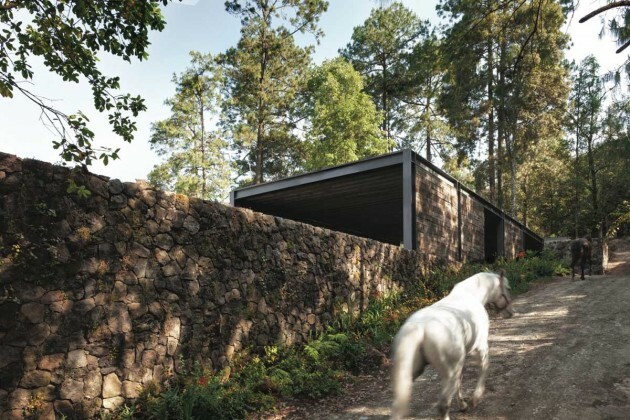 El Mirador is half buried on one of its sides with the purpose of protecting the habitation spaces from the climate where nature, views, and rustic finishes are the main components, seeking as a goal that these characteristics will last through time.